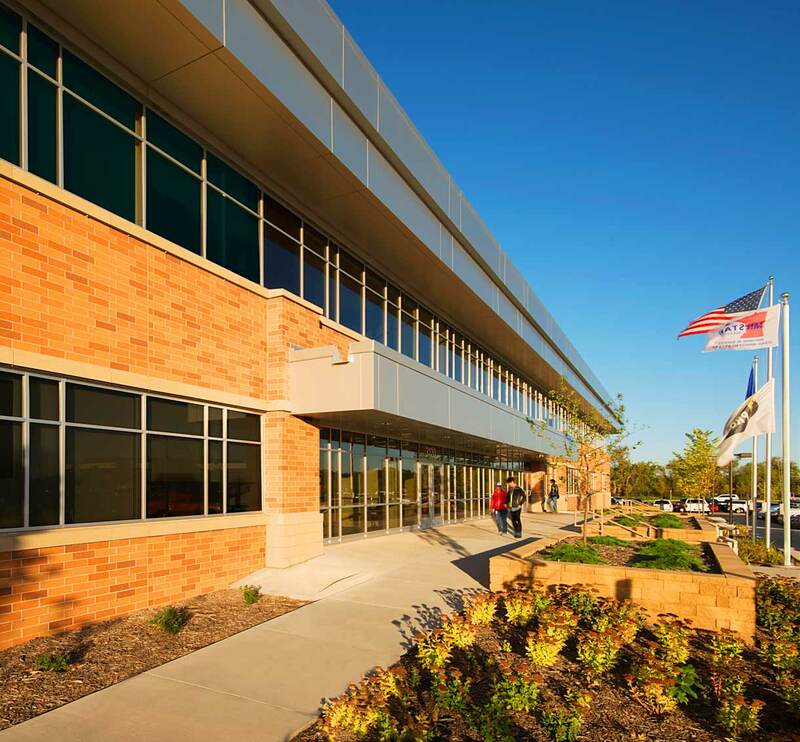 The North Construction Building was the third major Flint Hills Resources facility designed by TKDA. 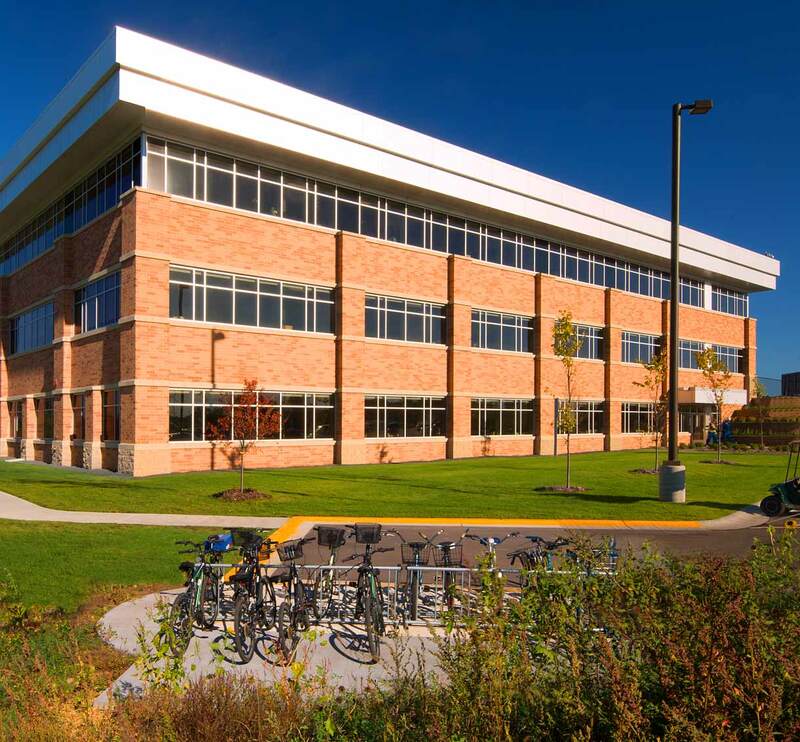 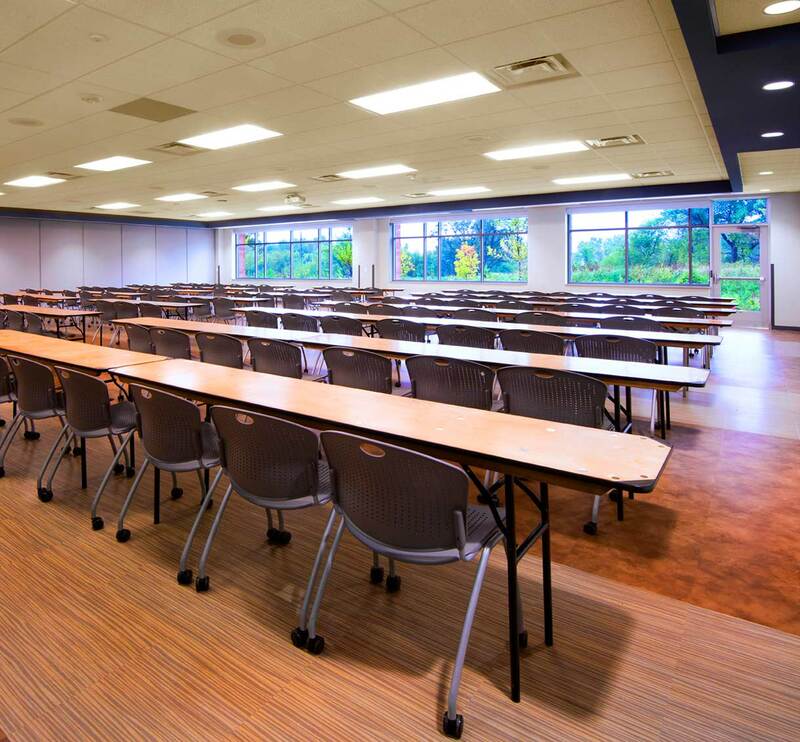 With 140,000 SF of office space distributed across three floors, the facility accommodates over 500 employees and was designed as a collaborative working environment for the company’s construction managers, project managers, engineers, design consultants and contractors. 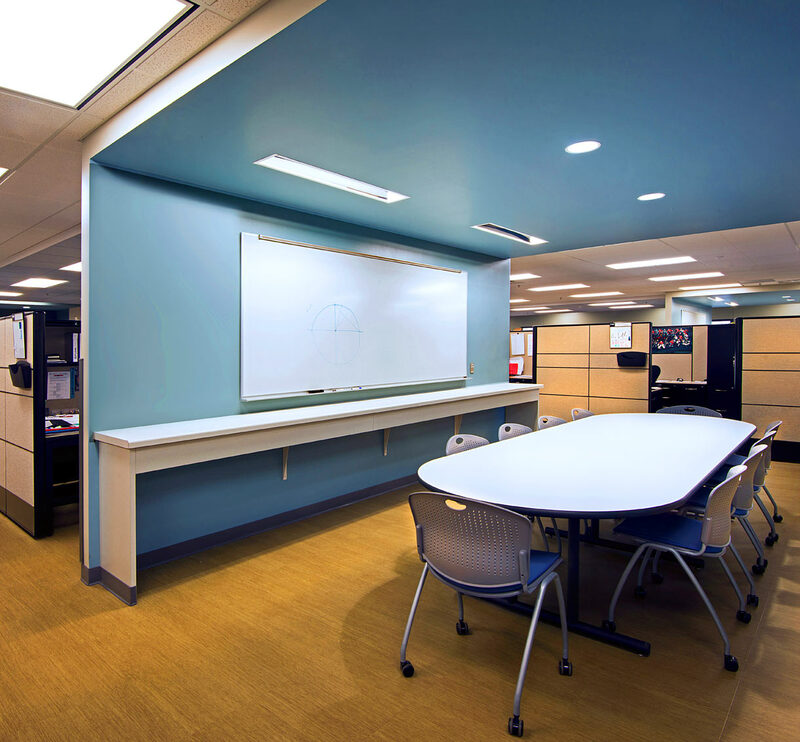 Each floor was laid out around a central core of conference rooms, meeting rooms, vertical circulation and restrooms with each office section punctuated by informal, distinctive meeting areas and kitchenettes to encourage spontaneous interaction. 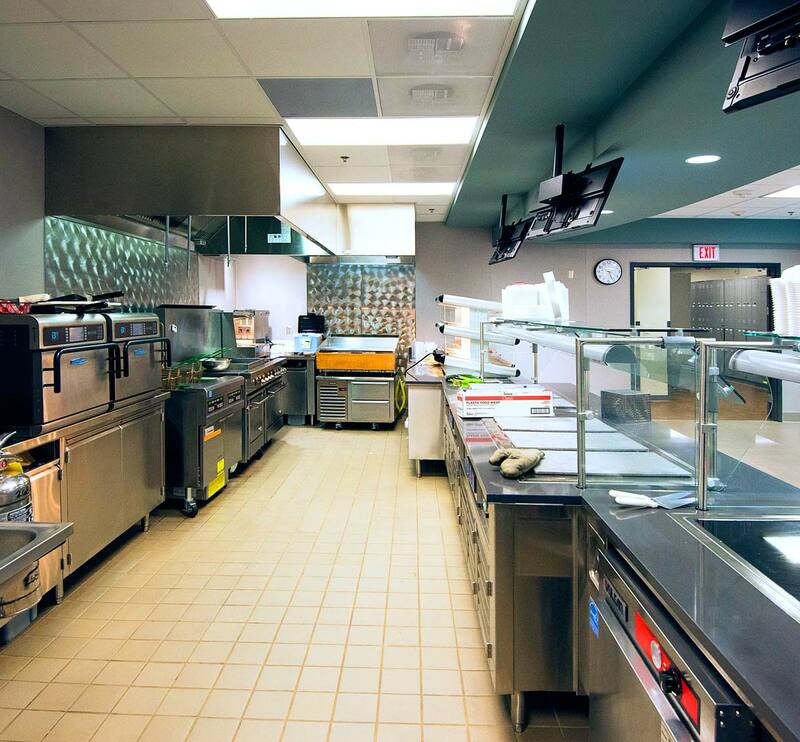 The building’s sloping site allows for the at-grade main entry at the middle level, with a walk-out lower level that houses a commercial kitchen and full-service grill along with a café dining.